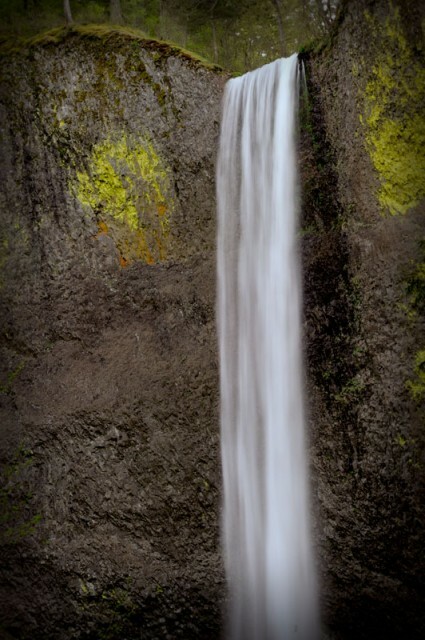 I used Tiffen’s Dfx 3 to process this image of Latourell Falls, OR. See my review of this software package below. I had the opportunity to test the photo version of Dfx 3 to see how it works and evaluate its strengths and weaknesses. 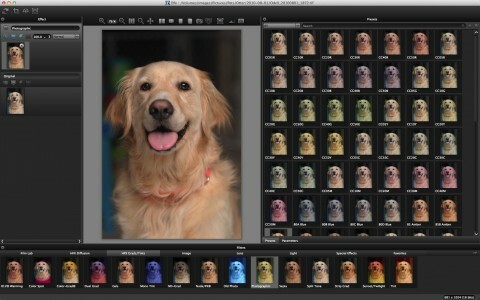 For the most part, the Photo Plug-in and Stand-alone versions operate identically. 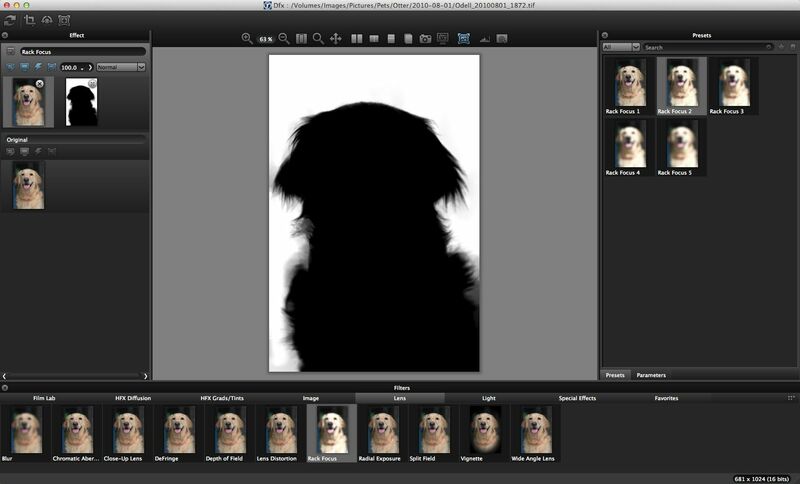 The difference is that the plug-in version requires a host application while the stand-alone version works as an independent image editor. Let’s take a look at what this software has to offer and whether it would be a good addition to your digital bag of tricks. To see full-size screen shots, just click on any of the images in this article. As with any new software, it will take you awhile to learn where all the tools are and how to find them. The Dfx interface is fairly straightforward and user customizable. Your image is previewed in the center of the window. The filter groups are displayed at the bottom of the screen, and their adjustment parameters are shown in a panel on the right. Many of the filters have numerous built-in variant presets to choose from, which can then be modified by the user using the Parameters panel. Depending on the effect filter you choose, the adjustment parameters range from simple (Levels) to highly complex (Color Correct). Some of these control sliders can be overwhelming at first, so I recommend testing new filters with their supplied presets first before trying to customize them. On the left-hand side of the interface, you’ll see your filter effect layers. You can add multiple filters, each in its own layer. Every layer can have its own mask (more on this later), for the selective application of effects. Moreover, you can change blending modes from each layer, just like you would in Photoshop. By dragging the layers with your mouse, you can rearrange the layer order however you’d like. There is also a “Favorites” category that users can store their favorite presets in for quick access. Many times you’ll want to be able to apply your effect to just certain parts of your image. That’s where Tiffen’s layer mask tool comes in very handy. Unlike most plug-ins, which only offer a brush tool, or require you to use Photoshop’s layer masks, masking tools are built right in to Dfx 3. Not only can you use traditional brushes within Dfx 3, but you can also take advantage of some pretty slick auto-masking options. There are seven different mask-building tools in Dfx 3, but the “EZ Mask” feature is probably the most interesting. 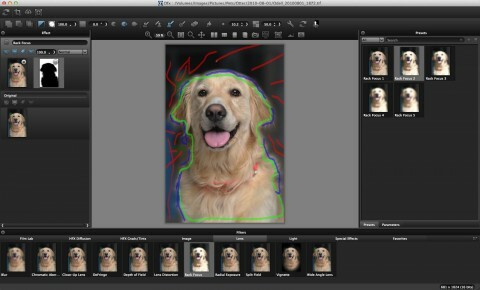 This tool creates a user-defined “smart mask” from simple paint brush strokes. All you need to do is 1) draw a line around the area you wish to protect (foreground tool) and then draw another line in areas you wish to designate as “unprotected.” With a little practice, the EZ Mask tool can generate fairly complex masks, even on challenging subjects like hair or feathers. You can also create auto masks from color selections, by drawing paths, and by using pre-defined (but user-modifiable) shapes, like gradients and spots. When you add a mask to your layer, you’ll see a thumbnail of that mask appear in the layer menu for the specified filter effect. One nice feature in Dfx is that you can add multiple masks to the same layer. The stand-alone version of Dfx 3 offers camera RAW support. I tested the software with my Nikon NEF files, which it opened with ease. However, there is no way to save the RAW adjustments into your file (or as a side-car), so anything you do will be “baked in” to the final TIFF/JPEG output. Taken together, these features move Dfx 3 from a simple “effects” package to something much bigger than that. In fact, you could make the case for using Dfx in stand-alone mode as a full-blown image editor. If you don’t have a full-featured RAW converter, Dfx 3 will take your images a long way. 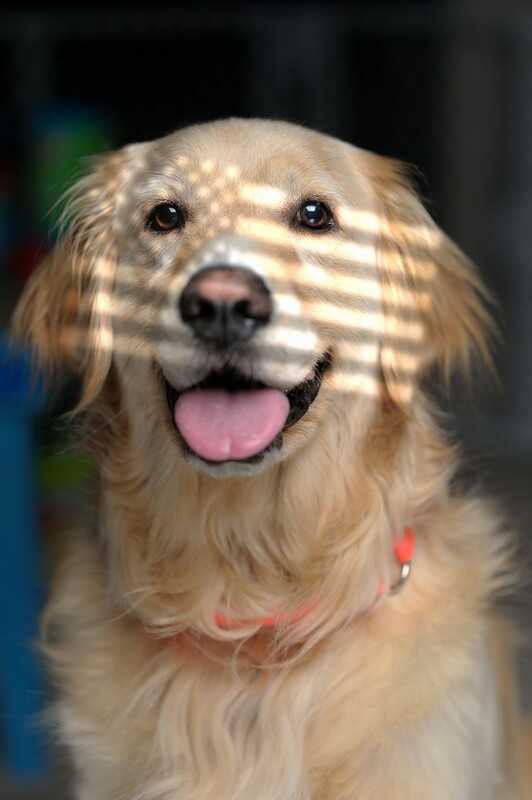 Otter gets the patriotic “gobo” treatment. 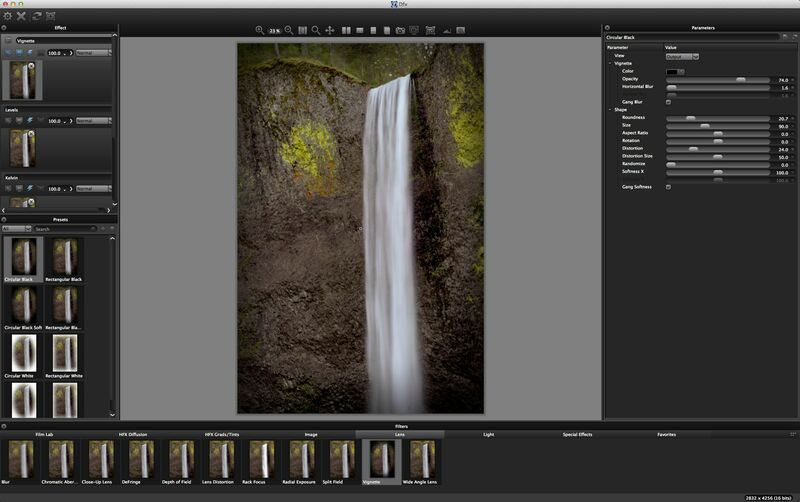 Tiffen’s Dfx 3 is a full-featured image editing suite designed for intermediate to advanced users. It contains a huge range of traditional glass filter and film/darkroom effects, as well as controls for basic image adjustments. Overall, I found many of the control sliders quite complex, but their complexity was offset by a tremendous number of useful filter presets. 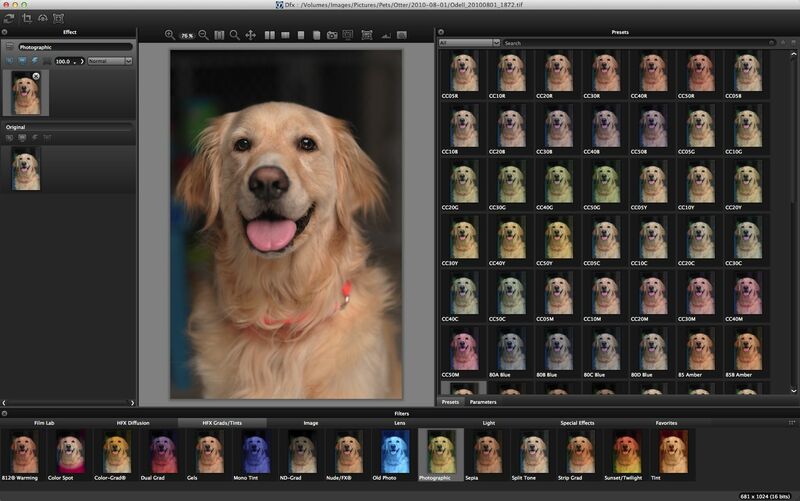 Because it uses built-in layers for stacking multiple effects and independent layer masks, users will be able to work with their images almost entirely within the Dfx environment. However, you’ll need to keep in mind that unless you use Dfx within Adobe Photoshop on a Smart Object layer, the effects you apply to your image are not reversible. You can, however, save your custom settings as presets (called “setups”) for one-click adjustments on other image files. Is this software right for you? If you don’t have Photoshop, I’d say that Dfx 3 is an ideal plug-in either to Lightroom/Aperture or as a stand-alone editor. Unlike many plug-ins, which only let you apply a single effect at a time, Dfx 3’s layered approach will be a huge time-saver. 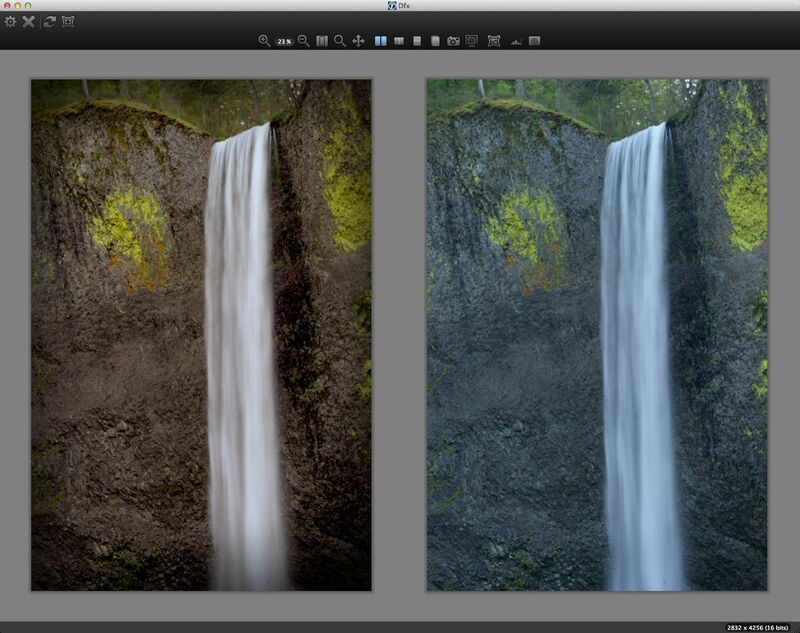 If you do use Photoshop, I recommend using Smart Objects to preserve your filter effects in a non-destructive manner. Considering that you get access to a huge range of tools, from special effects to standard adjustments, Dfx 3 offers users quite a lot. Just be prepared to spend some time with the user manual and visit the Tiffen online tutorials, as the controls are not tremendously intuitive. Once you master the basic controls, you’ll find yourself able to produce a huge variety of image styles, from traditional color/b&w films to dream-like special effects. Full Disclosure: I received a complimentary copy of Dfx 3 for review purposes. Author Update 12/7/2011: Added notes on RAW conversion. Previous PostTime-Lapse: Processing Multnomah FallsNext PostDon’t miss my free YouTube Videos! Thanks for the review, Jason, I’l visit the tutorials sometime this weekend and take a look. I’ve been playing with Dfx V2 for a couple days and it’s a bit daunting trying figure out among the hundreds of choices, exactly which filter to apply or even which direction to take your photo. The number of choices are huge: 9 filter types (Film Lab, Gels…) and within each Filter Type there are up to 20 different Filters and within each filter are up to (I dunno) maybe 20 different Presets. Probably over 1000 choices. This is without blending layers and tuning each layer or preset. Whew! The other problem, even if you kind of figure out what you’d like to do, is to figure WHERE a particular filter is? Where did High Contrast (a filter I like) go, e.g.? I should probably start making some favorites. A bit daunting but great fun to play with and easy enough to use, even if I’ve gotten hosed up a couple times. Just start over and try again. I just tested the trial version and was truly impressed. Even though the manual controls are a little different (I’ve used PSE for the last 8 yrs), The filters are very impressive. Does anyone know why the plug in version costs more than the stand alone?